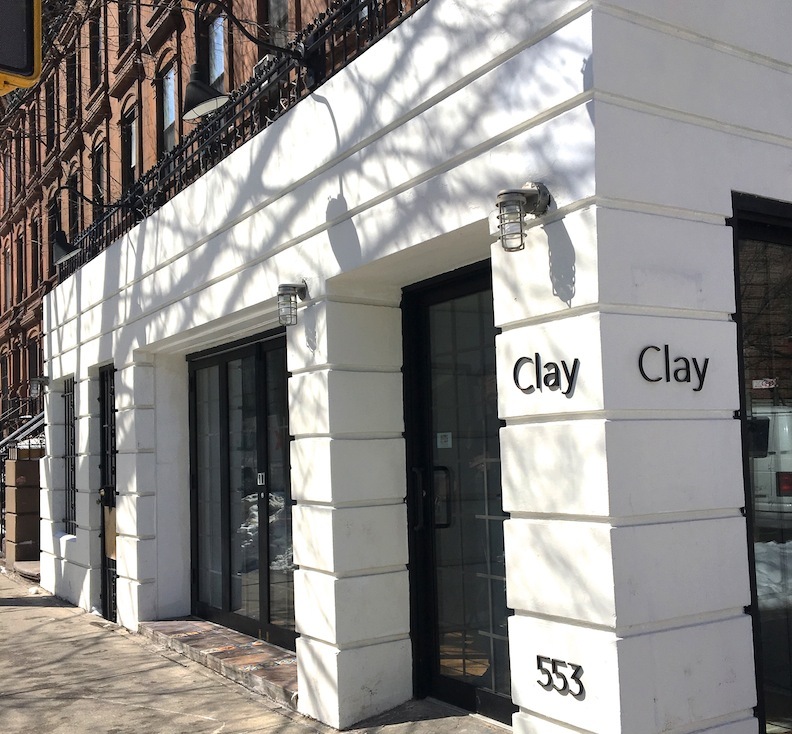 Clay at 553 Manhattan Avenue by 123rd Street opened quietly yesterday and we were able to check out the dinner service today. 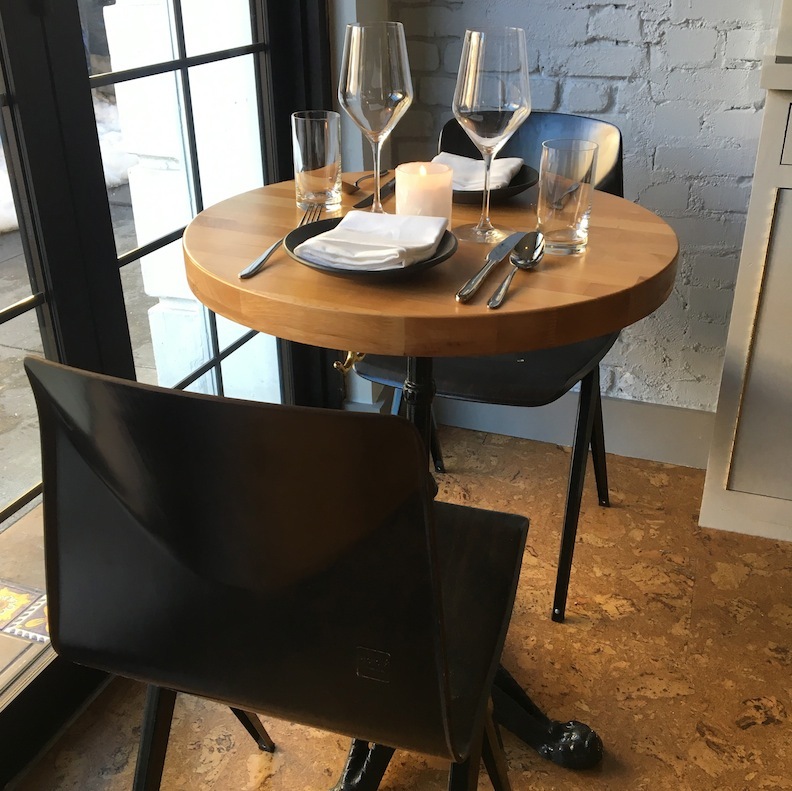 The elegant 70-seater looks nothing like its predecessor and that actually is a very good thing since the updated boutique interior seems more current to what is going on these days. There is a nice casual ambiance at the eatery featuring locally sourced offerings but the space is also formal enough for date night which is always a plus. One major surprise that we never expected was that the notable Chef Gustavo Lopez is heading up the kitchen which really meant that some great dishes would be arriving to our table very soon. A delightful floral vodka cocktail accented with lemon, honey, mint, egg white foam along with a sprig of orange blossoms started of the night and was as delicious as it was beautiful. Our next order was a healthy fall greens salad loaded with vibrant colors, frizzy baby mustard greens, red radish, finely cubed barricato cheese, toasted almonds and sweet raisins. This was probably one of the best meatless salads we have tried in recent memory and the depth of flavor made the fresh platter a robust choice for the evening. Our main course was a superb roasted black bass over a bed of root vegetable and wild onion puree which was pretty much as perfect as it gets. 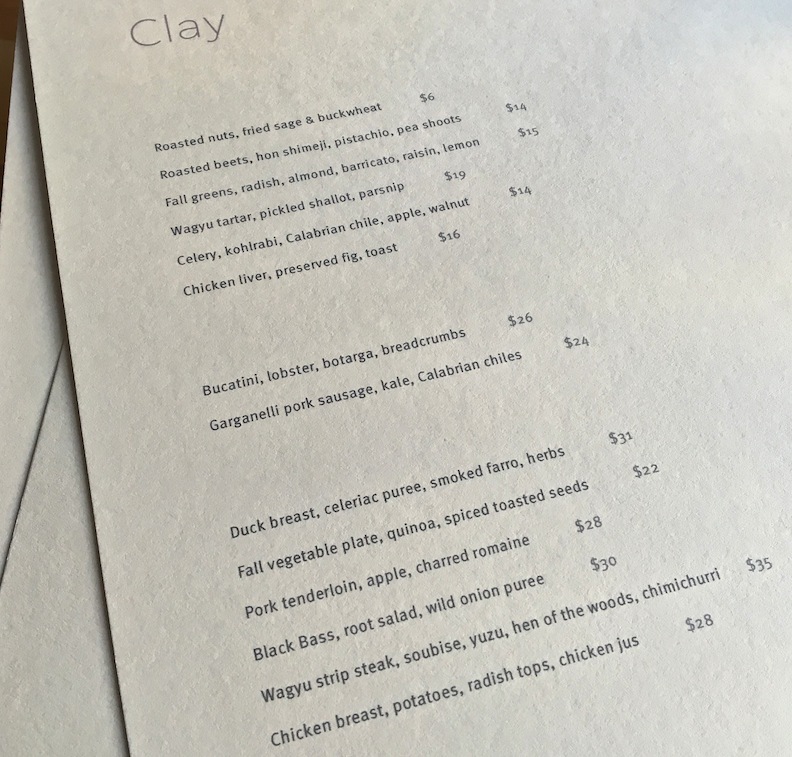 Fish is really easy to mess up but Clay definitely knows how to serve up this lighter protein option in a fine dining fashion. There was also a lobster bucatini with bottarga that was especially interesting but we had to keep the calorie count on the edited side for the evening. Dessert was a creamy panna cotta with blood oranges served up dramatically in a dark bowl which was an excellent finish to the evening. 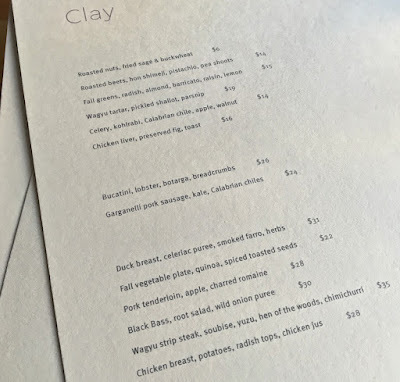 We not only loved the food at Clay but the earthenware used for the plates and bowls really ties everything all together. New York City artisan Wynne Noble was commissioned to make all of the hand-thrown creations that have a rustic but modern aesthetic and each of the pieces have a grainy, stone look to them. Those interested in dropping by the first week should note that this is basically a soft opening for the staff to get up and running efficiently so some patiences might be required. 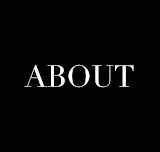 Hours are now from 5:30PM to 11:00 PM on the weekdays with hours extended to midnight on the weekends. We had dinner there on the night of the soft opening. Wonderful. A really great addition to the neighborhood and I wholeheartedly agree with you about the earthenware. Every detail of this place is well thought out. Here is to many years of success, succulence, and succotashes!